One look at the SPL these days makes something stand out significantly – the number of ex-Rangers players/loanees who have ended up at the weaker lesser sides following the Journey. So many Premiership sides are now filled with our dropouts, our dregs, the ones who didn’t make the grade, and it does give some idea of the gross mismanagement from previous regimes to witness their prize captures now plying their trade at St Johnstone. The Saints of course are only one side guilty of this, with their Michael O’Halloran, Cammy Bell and Sean Goss being the three former Rangers players on their staff. Hibs too have Emerson Hyndman, Gael Bigirimana and Darren McGregor, Aberdeen have Dominic Ball, St Mirren have Lee Hodson, Ryan Hardie is over at Livi, and technically Killie have Kris Boyd. In short, there are a tonne of Journey Rangers in there, players who our management considered good enough to fill the shirt at Ibrox, and then in most cases flopped horribly, not because they didn’t try or felt the pressure in many cases, but because they were just nowhere near good enough. When we look at the level we now are, which in itself remains a work in progress, we see Ryan Jack over Dominic Ball, Ryan Kent over Michael O’Halloran, Allan McGregor over Cammy Bell. To call this a seismic gulf is the understatement of the year. Naturally, fans had to get behind whatever mince was in the shirt – they were our players and we had to support them. But when we look at all the mediocre players who ended up at bottom-feeding SPL sides or sides in the bowels of Scottish football, it’s certainly mixed emotions. 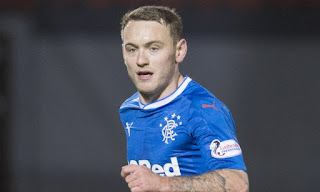 Some fans back in the day who used to think David Templeton or Fraser Aird were good enough for Rangers – it’s sort of funny now, when we look at what is really good enough for this club, or getting there. We were always harsh on this site about the weak players we had – we did have the odd one or two we thought had some potential, but we always knew these players were to get us back to the SPL eventually – turned out most of them weren’t even good enough for that! But even after Mark Warburton fixed that, he then went into the SPL with continuing weak players and made such a hash of his transfer windows. We ARE seeing improvement now – some genuinely quality players are arriving, even if the work continues to make the consistency and level what it should be. But no one can persuade us a single player who may face us this season having previously donned our shirt should still be in our shirt. There may be some who helped us along the way but in truth most of them should never have been here in the first place. Bad choices by bad managers and money down the drain. We are miles better than what we were and the Gerrard critics should remember that. 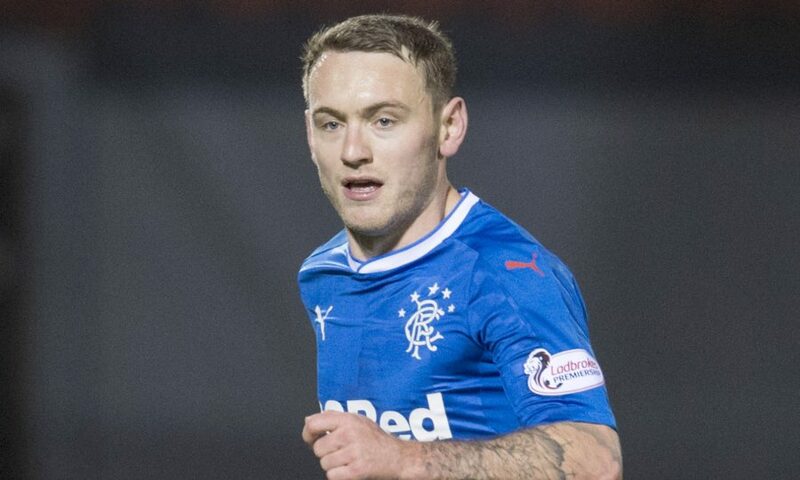 Poor Lee Hodson, the poster boy for "Rangers dregs". There were worse, many of them. Who were yours? Yes, we were a little harsh on him - but hey, enough fans in our support seem to hate him blindly so we suspected they'd be happy with him being used here! No we didn't, they weren't part of The Journey. Naismith is good enough, regardless of what he did. Halkett would also be welcome back. Hardie looks good enough for the jersey. I’d rather him fighting for a place off the bench than reject-return Lafferty coasting through. Remembering teams from 3-5 years ago there are a dozen or so in Scotland below SPL level. Andy Little is in NI. We are on the up but we were very poor. WATP. Naismith wasn't part of the journey. Halkett was only a youth player who was never give a chance. Seriously? So your contention is that McGregor, Tavernier, Goldson, Katic, Barasic, Jack, Davis, McCrorie, Arfield, Kent, Morelos, Middleton, Defoe, Lafferty would be Scottish 2nd division players? A reality check for you BlueBear but these players are close to the best players we are likely to see at Ibrox. Sure we can do better but not by much. The days of Laudrup and Gascogne are gone and will never be seen again. Get used to it. BillB, I always respect you well reasoned posts. I always feel that Ally McCoist gets too much adverse comments on this forum. Certainly, he was allegedly overpaid, and he brought in experienced players who were well past their sell-by date at exorbitant salaries. But I recall that there was no Academy, only two first team players in McCulloch and Wallace, and no scouting system. Five Newcastle United croccks were imposed upon him. The board were Ashley supporters, and the atmosphere was caustic, with little job satisfaction. I thought that Ally always portrayed himself with dignity before the press, masking the unrest behind him. Thankfully, there has been an improvement in the whole club struct ure which is providing the current stability. McCoist deserves all the criticism he gets. He had a chance to build a new Rangers from scratch and chose instead to give good contracts to old has beens and players that were never good enough. He could've went out and signed the best young players in Scotland but didn't. Tactically he was poor too. Things haven't really improved since with some of the things he says on TV about Rangers. Some of them may be a hard truth for us Rangers fans but still shouldn't be said by one of our finest in public. And of course he took a salary of £800,000 as a third division manager at a time when we didn't have two pennies to rub together. It's only when that was exposed he took a pay cut. A true Rangers legend whose stature had been tarnished by events since he took over as manager. Again, I have to agree. Nothing to disagree with, in this piece.